Front end loader, raising load of road metal for transfer to truck. Front end loader, raising load of road metal for transfer to truck. (F.C.18.B.D. Cletrac 35 h.p. Queen's Bridge Motors equipment - capacity about 3/4 cu. yd. Snobs Creek. Niagaroon. R.W. Bond, “Front end loader, raising load of road metal for transfer to truck. 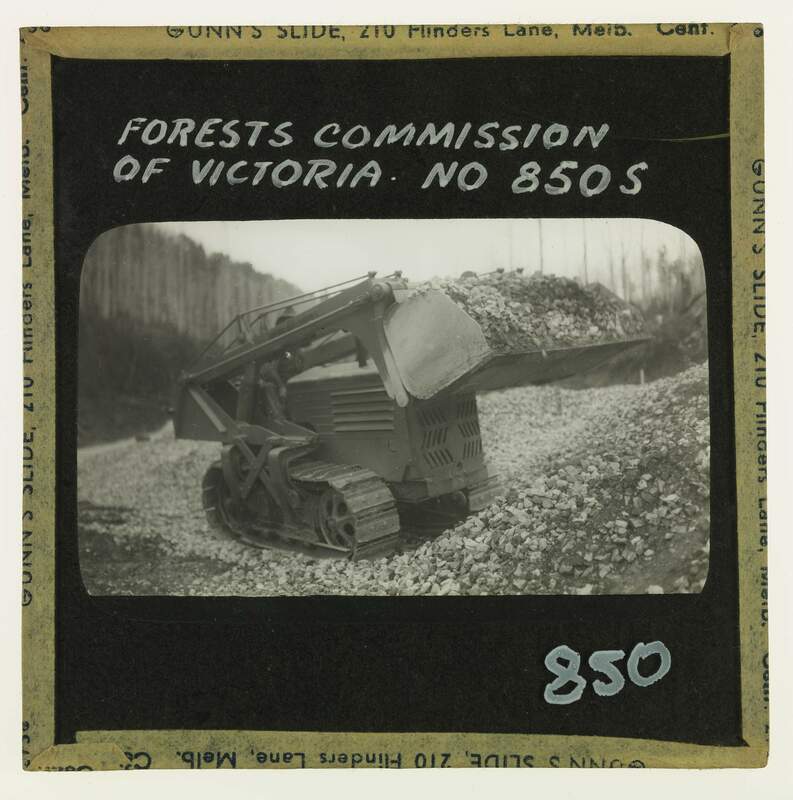 ,” Creswick Campus Historical Collection, accessed April 26, 2019, https://omeka.cloud.unimelb.edu.au/cchc/items/show/5702.